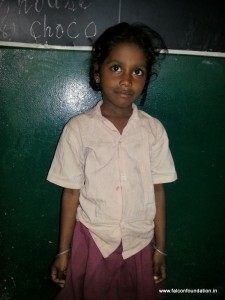 Isaimozhi is in the 2nd grade and loves to draw! She wants to be a teacher when she grows up. Her favorite subject is Mathematics.